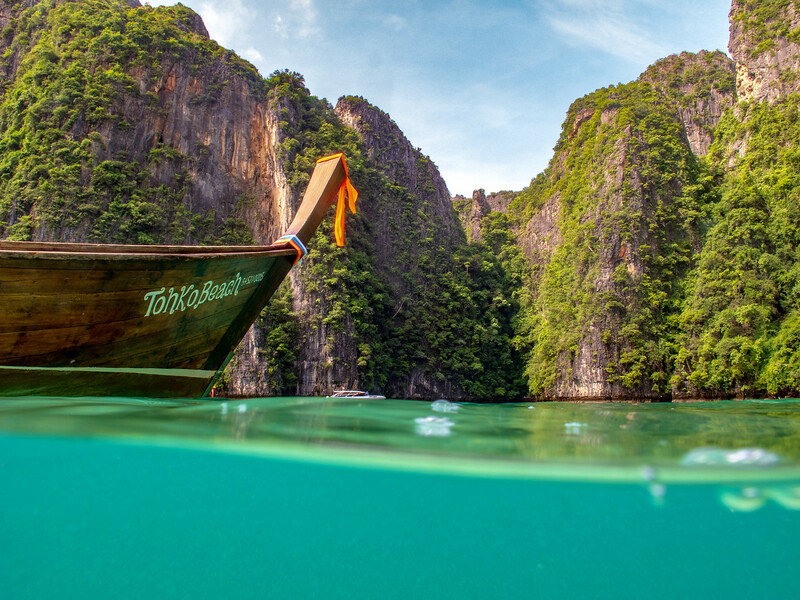 Ko Phi-Phi Don island, just a short ferry ride from Krabi, Thailand is one of those places you dream about. Before I retired I was only aware through books and magazines that such places as this existed. 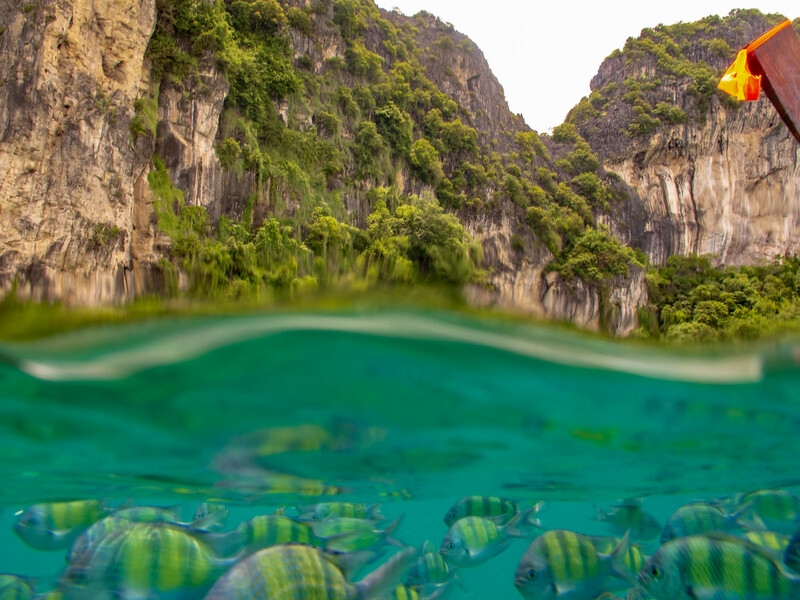 Tropical breezes, white sand beaches, inviting warm waters and cliffs that virtually jump out of the sea make it one of the most beautiful places to visit in Southeast Asia. The scenery is so unusual in places that it resembles a Salvador Dail surrealist painting or an exotic set from a James Bond movie. Oh, wait, scenes from “The Man With The Golden Gun” were filmed nearby! Devastated by the 2004 Boxing Day Tsunami the island has recovered and rebuilt.We rented a boat for the day and were able to see some of the less touristed areas. The sea was teeming with life. and it would have been hard to find a place to stay much closer to the beach! But alas, the dream may be slipping away. 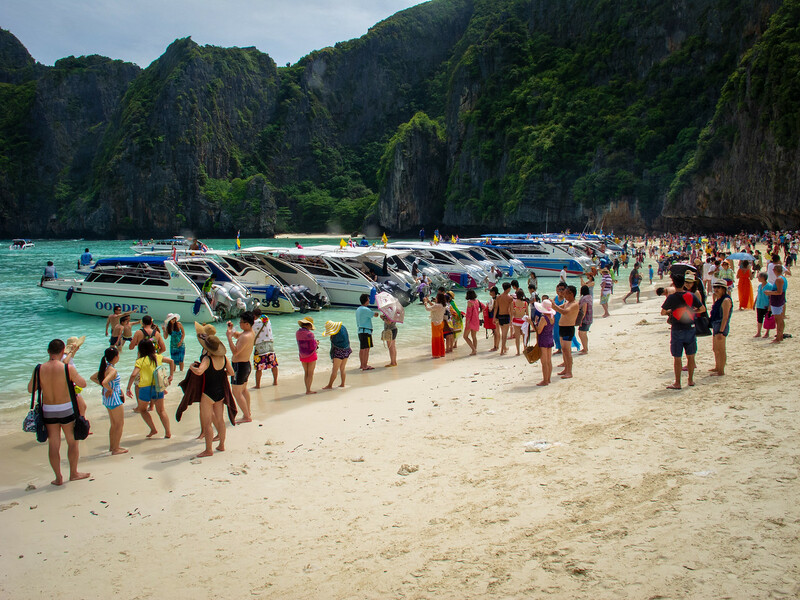 There is still some solitude to be found but the Phi Phi Island’s beauty and popularity have led to inevitable (re)development and exploitation. This place is popular because it is the location for Leonardo DiCaprio’s movie “The Beach”. It is still certainly a lovely place to visit but unless something is done to put the brakes on over-development this gem will be lost. Love that photo where you caught the school of fish. Thanks Stephanie. It really is a beautiful place. Hopefully they will get smarter about sustainable development. Love your photos! Do you know the name of that amazing hotel in the photo? Looks like heaven! Thank you! It was heaven. 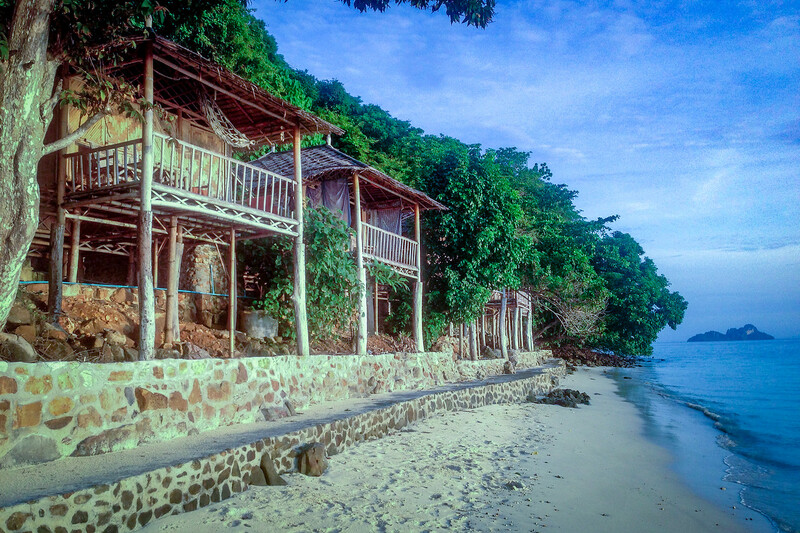 The name of the hotel was the Tohko Beach Resort. Much appreciated, along with your inspirational blog! Phi Phi has definitely been on the backpacker radar since the 70’s but like Koh Chang in the north it is going the way of over-development for sure. Great photos. Yes, I fear that unless they get a handle on predatory development that many people will leave in favor of places that care about sustainable development and the environment. Loving the photos! Especially the one submerged in the water showing the fish.. 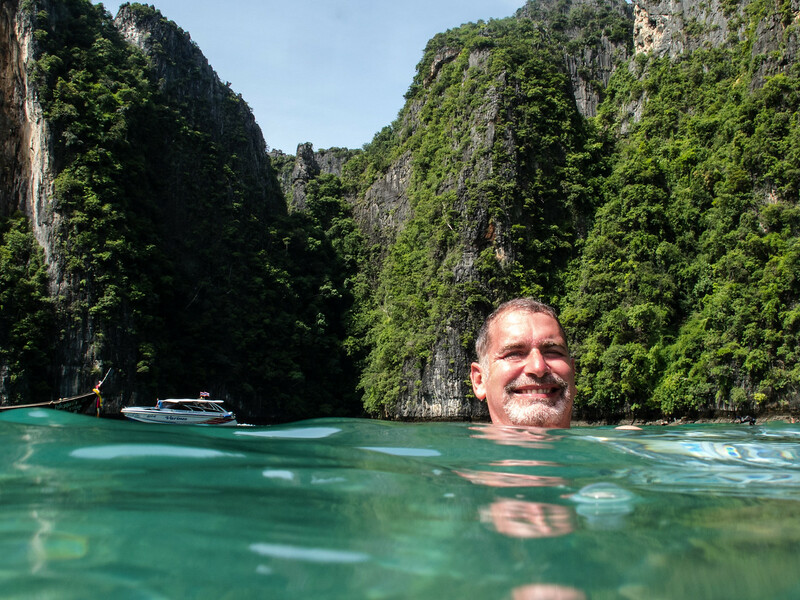 I never tire of seeing Thailand in photos… still my #1 most dreamed of destination I haven’t been to yet! I highly recommend it! Going to keep moving but Thailand is a wonderful place.